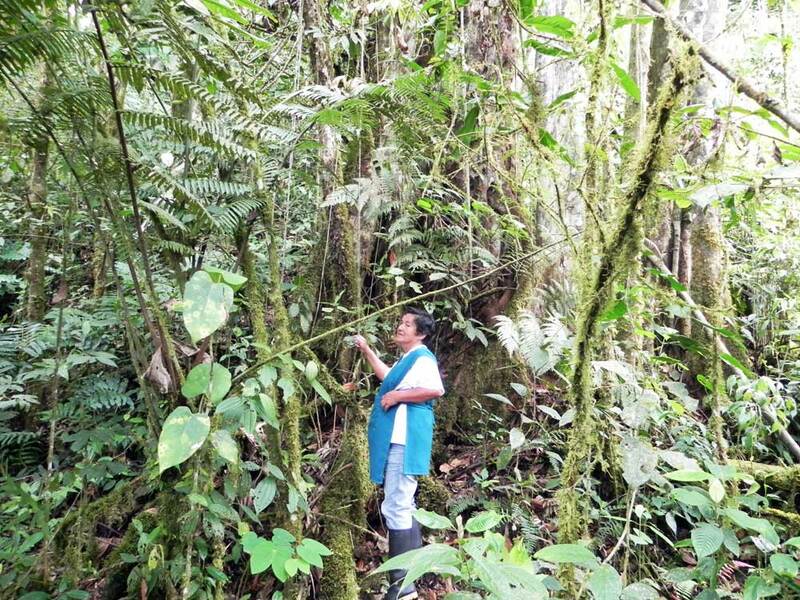 The Junin Cloud Forest Reserve is located in the North Western slopes of the Ecuadorian Andes. It sits at between 1200m and 2800m above sea level, in the beautiful Intag region of the Imbabura province. 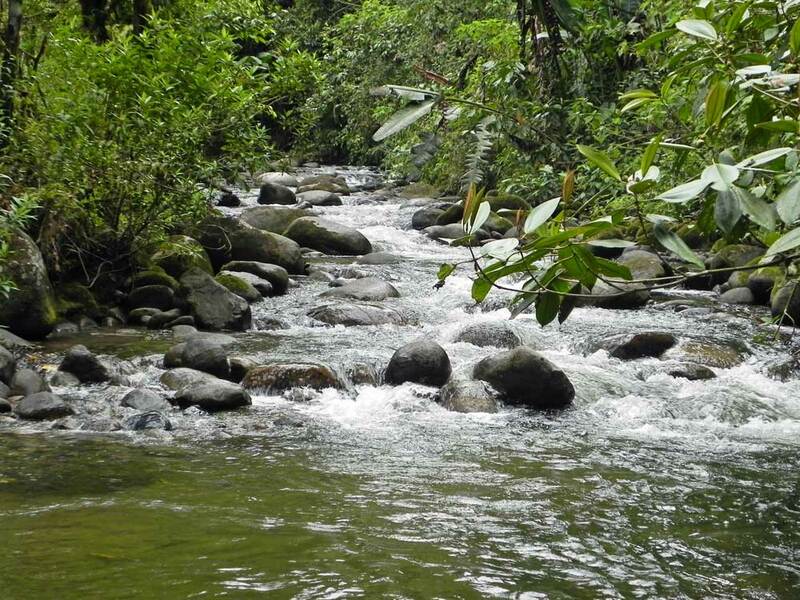 The climate is tropical and the cloud forest is filled with many species of flora and fauna. Primary forest, rivers, and waterfalls make Junin a beautiful destination for travelers and adventurers. It is an excellent location for birding, looking for butterflies and orchids as well. 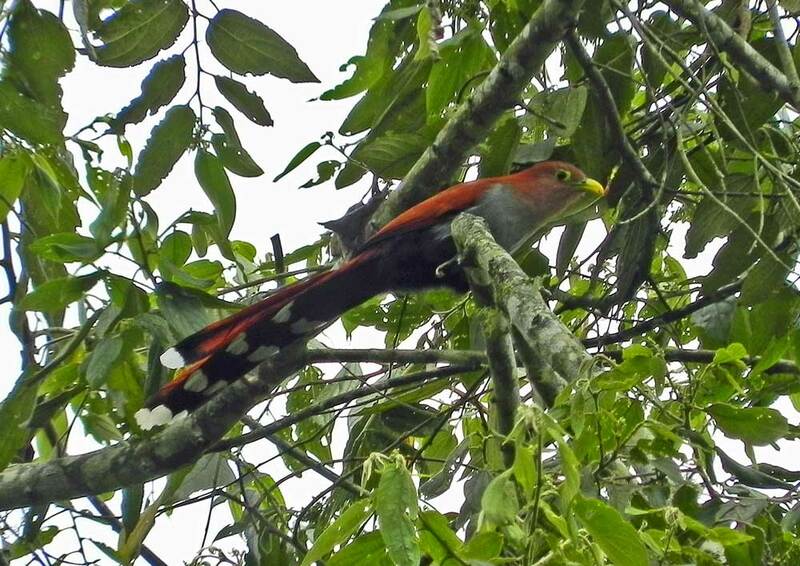 Junin rests in one of the most biodiverse areas of the world called the Choco Reserve which Ecuador shares with Colombia and is considered one of the single most biodiverse regions in the world. 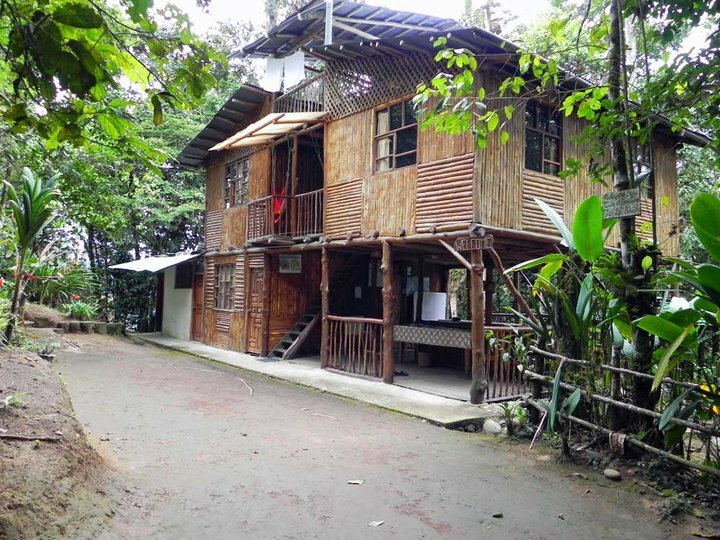 Travelers can stay at cabins located in the middle of primary forest staffed by friendly locals. 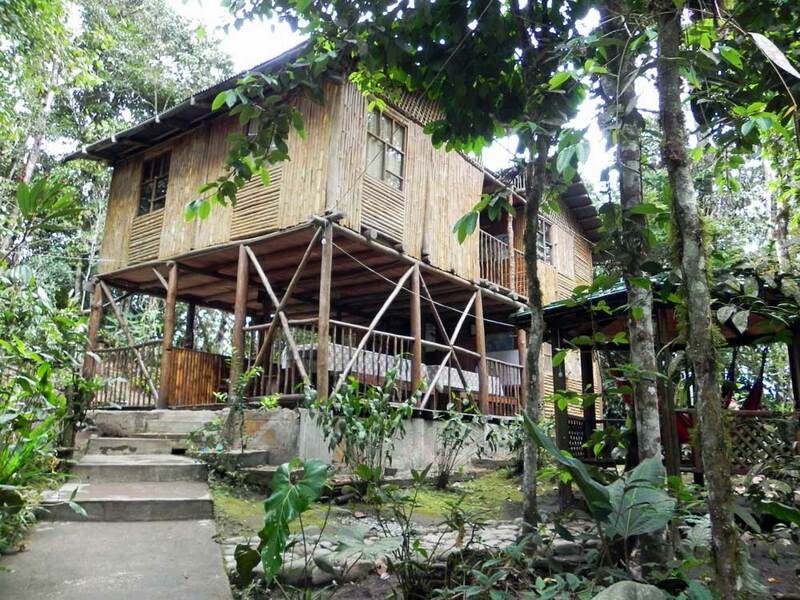 The cabins are entirely run and operated by the local people of Junin, and the profits made at the cabins directly contribute to the successful campaign against mining in the area. The cabins are in the middle of primary forest just up the road from the community. The cabins have five bedrooms with two sets of bunk beds, and one private room, with electricity. There is a bathroom and shower with hot water. There is a large communal dining area for the guests to eat and relax. Around the cabins there are a variety of hammocks perfect for reading and relaxing. 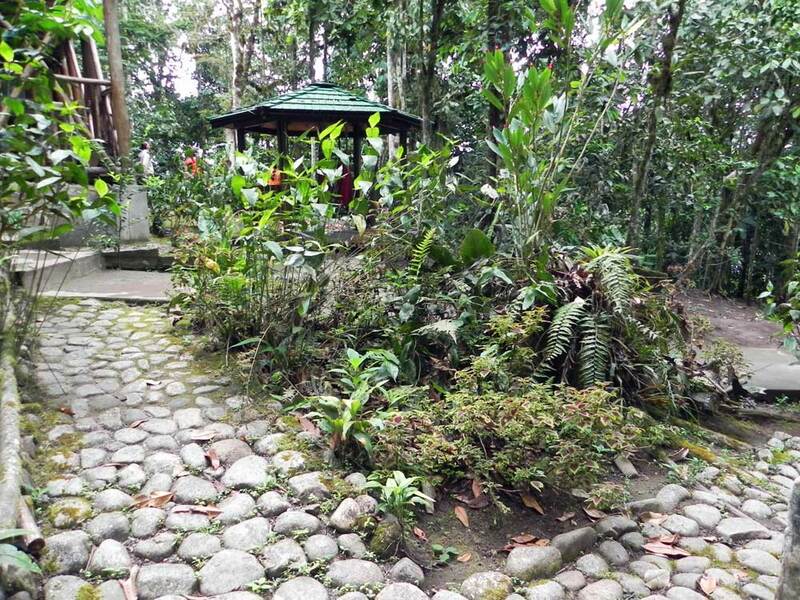 There are a few trails around the cabins for walking, as well as an orchid garden. The staff is very friendly, and they serve breakfast, lunch, and dinner, which comes with the cost of the room. The food is made with locally grown products and a vegetarian option is available upon request. They serve the well-known, locally grown and processed Rio Intag coffee. The price is very affordable $35 per person which includes the 3 meals a day and trail guide. Buses leave from Quito’s main bus terminal Ophelia to Otavalo approximately every fifteen minutes for $3.75. The ride is about 2 hours. Once in Otavalo, take the Transportes Otavalo Busline from the main bus terminal to Garcia Moreno, which departs approximately every two hours, the ride is about 3 ½ hours and costs $3.75. If you arrive at 1:00 pm, there is the departure of the school bus which named "la ranchera" which goes to Junin in 1 hour, for 2$. The day before you need transport, contact Don Richard at 0968349330, (who speaks spanish only) to take you from Garcia Moreno to junin. From Chontal, you will have to call Don Richard also the day before you need transport.